Ships from Hongkong. The noisemaker length is about 8*3CM(3.1*1.18''). 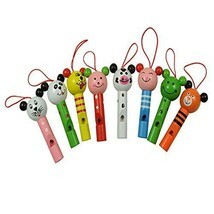 This collection of noisemakers features vibrant colorful cute style. The lovely whistle is made of wood and will get your event full of excitement! Moreover, it is definitely a creative toy for your baby. 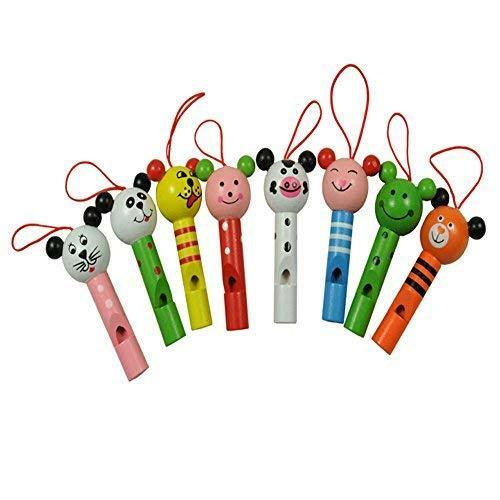 Whether you are looking for party favors or unique children's gifts, this whistle will be a perfect choice for you.